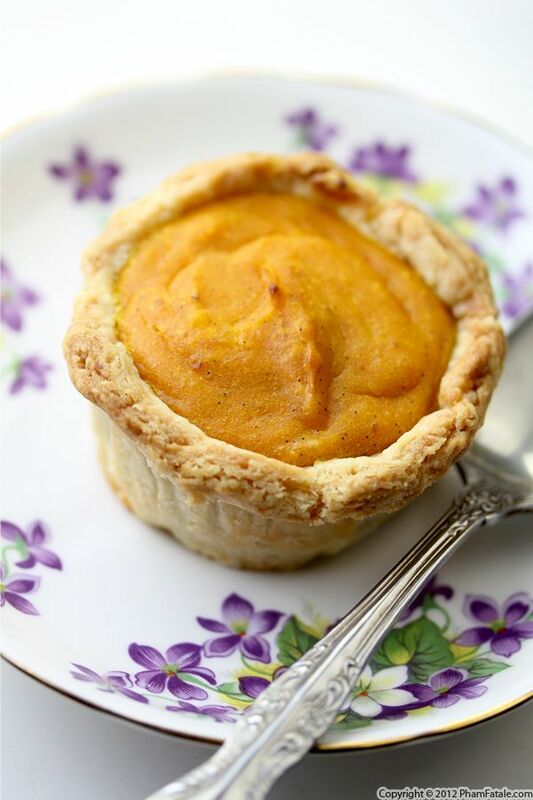 If you saw last week's dessert recipe, you know I made a French-style pumpkin flan for my husband Lulu. He had asked me to make a flan, which in his mind meant crème caramel, but instead I made a flan pâtissier (French pie crust with pumpkin custard). 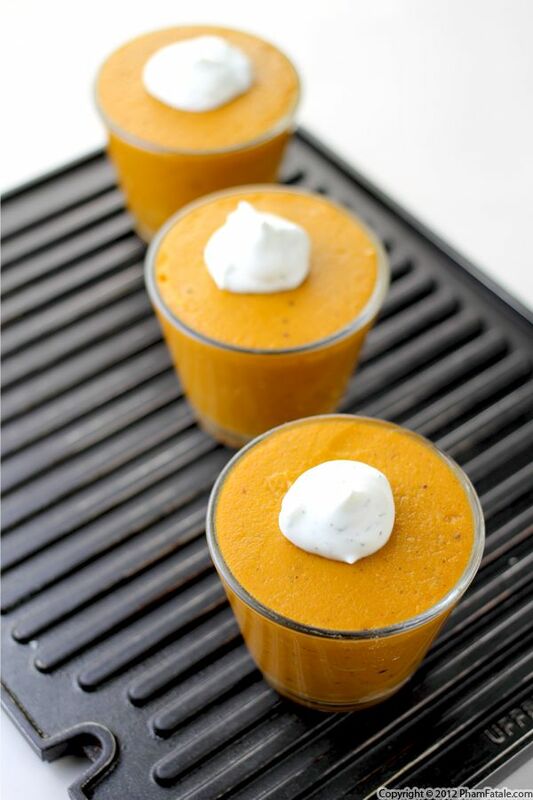 I always try to keep my promises, so here's the pumpkin crème caramel, which Lulu loved. His favorite part is the caramel at the bottom of the cup. 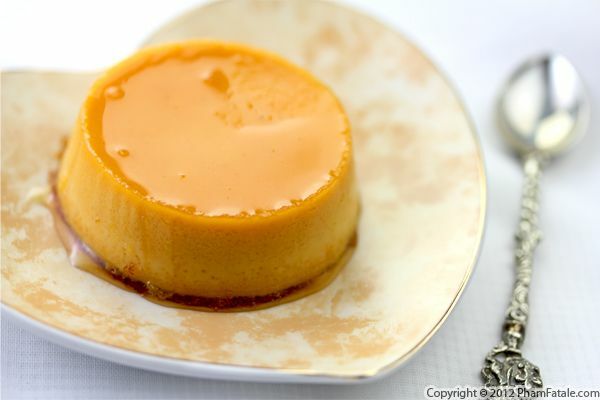 You could serve it as is, or flip the dessert onto a plate so the caramel drips all over the "flan". I photographed it in both serving styles so you can decide which you prefer. Three days to Thanksgiving (or four days to Black Friday, depending on your priorities )! It doesn't matter whether you're a newbie or a grizzled veteran; when it comes Thanksgiving dinner, we could use some inspiration. In that spirit, I've compiled a list of my favorite Thanksgiving appropriate recipes. I listed them by ingredient: sweet potato, potato, pumpkin, bread, greens, poultry, cranberries, pecans, so you can decide which one works best for you. Happy planning! There are many recipes that are perfect for Thanksgiving in my first cookbook "Haute Potato". Two of my personal favorites are the potato cigars and the lavender and white chocolate potato torte. If you order it today from Amazon or Barnes and Noble, there's still a good chance it will arrive before Thanksgiving. And if not, it's packed with great holiday recipes as well! My husband Lulu loves it when Thanksgiving rolls around, because it's usually the time of the year when I experiment with new desserts. He often makes suggestions, and always selflessly volunteers to be the taste-tester. His latest suggestion was a pumpkin-flavored flan. Lulu tends to forget that I was born French. 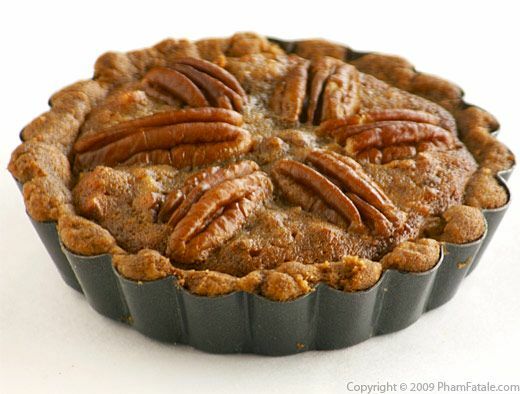 A "flan pâtissier" in France is a pie crust called "pâte brisée" filled with custard made of egg yolks, milk, cream, sugar, cornstarch and vanilla beans. So that's what I made, with the addition of pumpkin, of course. For my husband Lulu's birthday, the three of us took a few days off to visit Paris. My baby Aria is already having a blast, enjoying every bit of Parisian life so far. We arrived last Friday and have already had time to go to museums and wander through Parisian markets. We noticed that Halloween has become increasingly popular in France, and decorated pumpkins are available everywhere. Of course, pumpkins are just as much fun to eat as they are to draw on, so I picked one up and used it to make dinner. To prepare this recipe I roasted a pumpkin, gathered the pulp and stuffed it into a crêpe. 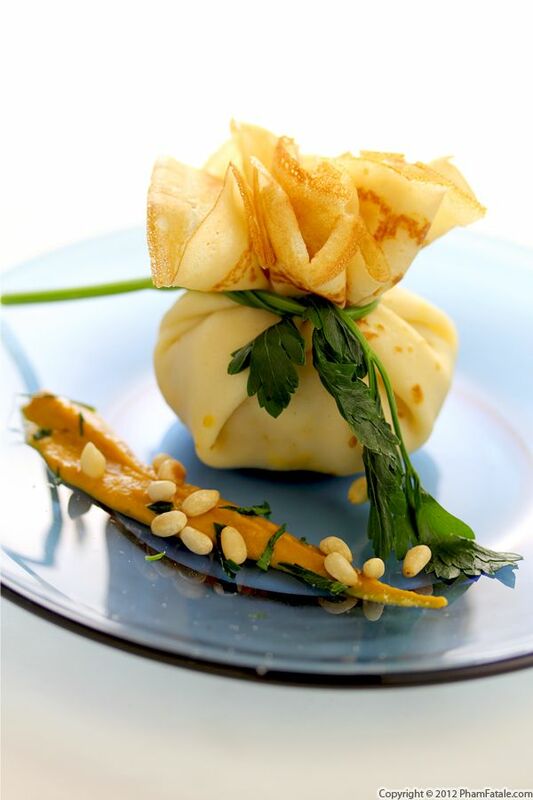 The filling also contains a little Saint Marcellin cheese and pine nuts. I love cooking with this ripe cheese; when warm, it has a robust mushroom-y, earthy flavor. Give this recipe a try, and you’ll (almost) feel like you're in the City of Lights. I’ll take lots of pictures while I’m here and will share them on my Twitter and Facebook pages, so if you haven’t already, follow / like Pham Fatale for all the updates! Page 5 of 8 pages.